I’m not ill equipped to move within the PR world, but our work is always more impactful if we continue to understand how it will eventually be positioned and used. 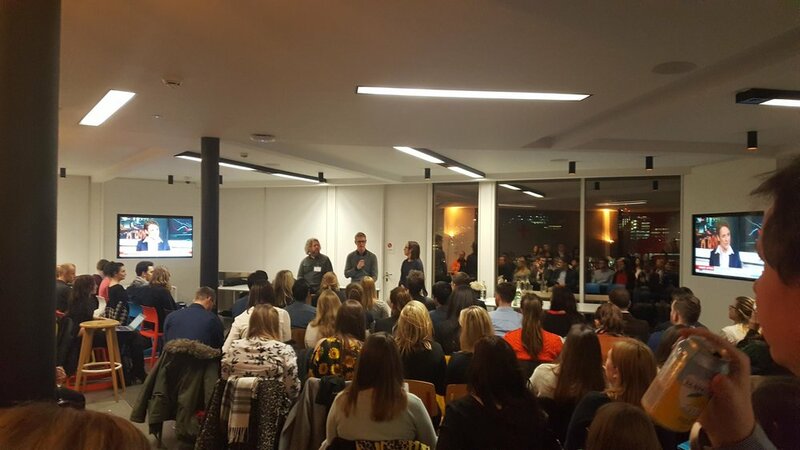 Fortunately for me, the PRCA networking events are proving to be a great way to get up to speed, fuel my creativity and learn from the masters. I often write notes, and looking around me at the standing room only event I’m not on my own. So I thought it might be useful to share a few handy tips from the night’s proceedings. Some of course are ‘back to basics’ in their nature, relevant to Account Execs. While a few will be a little fresher and were useful to Heads of Content. A lot of course will depend on your existing experience, but from the conversations I had, it seems there was something for everyone. And this is what they had to say….. When pitching, understand who or what the programme is about and at who (and the level) it’s aimed. Check out the show agenda. o Broadcast is no longer linear. Destination TV welcomes curated content. o Social media channels attract more aspirational viewers. Check the phone numbers you are using. o If it’s the same number for more than one person treat them as a team and don’t keep calling it asking for different people. Reliability is more important than face-to-face contacts. o Having the relevant people available when needed, often at short notice will get you far more brownie points than a coffee. It’s never too early to pitch for big annual events like Davos. o January’s event was receiving (and welcoming pitches in October). Be aware of the time when planning meetings. o For example, CNBC does all its planning for the following day by 10am the day before. Stories after 10 stand little chance of getting in. o Breakfast shows welcome evening pitches, particularly if there is a crisis breaking. Identify the best contact method. o A matter of individual preference of course – it might be phone, tweet, snapchat etc., and often emails tend to get buried. When on location be prepared to offer details for truck parking. Understand that broadcast isn’t an opportunity to plug your clients’ goods or services. o Apply the ‘So What?’. They are a CEO, so what? What will this product or person add to the situation or story? Undue prominence is a problem. Views need to be balanced and product placement can be a problem. o While a Diageo interview won’t be accompanied by a bottle of whiskey, the owner of the UK’s first rum distillery might. But in doing so they will be challenged by the interviewers and asked the kind of questions that investors or environmentalist might want answers to. o Don’t plaster things in huge livery stickers. Don’t ask for a list of questions before the interview. o It’s the interviewers job to ask spontaneous, relevant, intelligent questions. If the interviewee isn’t up to answering spontaneously they are the wrong person for the job. You’ll be given topics, but not the questions. o Don’t over media train them. TV and mobile is a visual medium. o If the products can’t be physically touched or demonstrated, provide B-Roll. Give this extra footage, even if it’s only sketches or artists impressions. Anything good to be used to cut around the talking headshots helps. No matter how much impact a fancy enterprise system has, it’s only going to be news worthy if its relatable and bought back to a more consumer orientated perspective. o Think of all the ways it may solve a problem. Bad news can be a PR’s friend if the client has a way of solving the problem, or opening up the supply chain impacted. o E.g. How do we work with block chain, how can it be integrated? How is plastic waste going to be overcome, who can solve it? Entrepreneurship isn’t a story in its own right without a great back story. o The CEO may have to be prepared to be the ‘brandividual’. Each case is judged on its merit. I hope you’ve enjoyed my reflections, if so you might be interested in what I learnt at the PRCA’s Crisis Management Greenroom. Evaluation Group or ways of spotting fake news. At Sapio we are keen to understand our audiences and help you to do the same too. We’re not here to do the job of PR & Marketing Agencies, we’re here to support and make you look good. Drop me a line if an outside perspective could help you with your campaign.